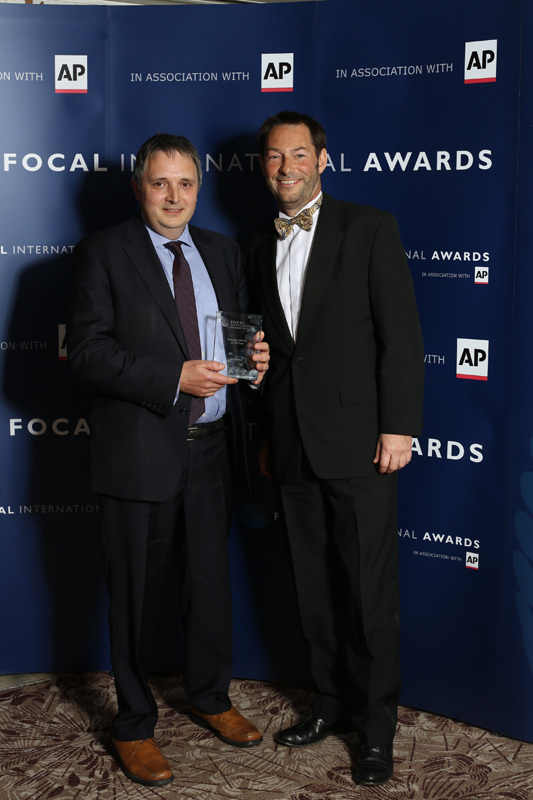 AP wins Focal International Award for "Best Footage Library"
The Associated Press has been awarded the 2014 Focal International Award for Best Footage Library. 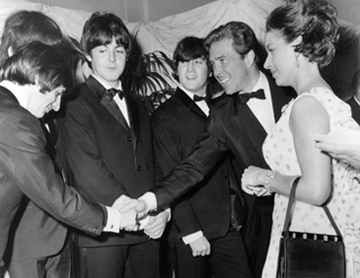 The result was announced last night at a ceremony and gala dinner in Central London, the winner having been chosen exclusively by archive researchers and footage users. The AP Archive, the film and video archive of AP, is one of the world’s most important audio-visual archives of news, social history, sports and entertainment. It contains more than 1.7 million global news and entertainment stories dating back to 1895, and hours of new footage are added daily. The platform allows online downloads and licensing of footage, while offering a range of specialist features to enable customers to search, organize and share research. In 2012, AP embarked on a major project to digitize its vast archive film and videotape assets, and a new state-of-the-art web platform was built to host the newly digitized footage, enabling easy access for professional footage users. Although the project was commercially driven, it has also ensured the preservation of unique footage of some of the most important events in history, for the benefit of future generations. The platform also provides access to AP’s strategic content partners which includes the iconic British Movietone collection, offering a huge range of British and international footage dating from 1895 to 1986. "We are very proud of our archive, which is an incredible visual document of the people and events that have shaped the last century and reflects AP’s heritage in frontline news," said AP Director of International Archives, Alwyn Lindsey. "Winning this award is testament to what we have achieved with it. It is an industry leading platform that offers customers access to the widest array of digital news and historical footage available. 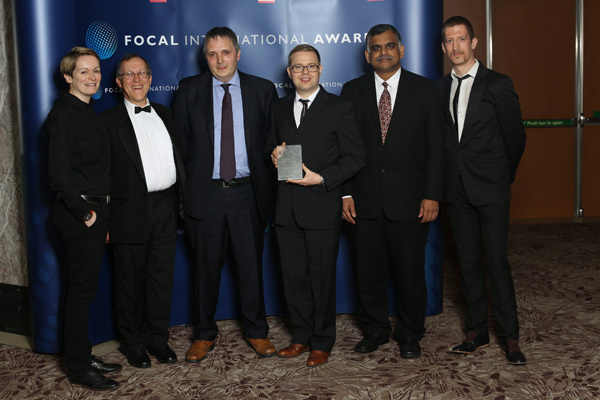 The FOCAL International Award is especially important as the winner is chosen by the customers, the greatest endorsement that we could wish for." A list of all the winners can be viewed here: http://www.focalint.org/focal-international-awards/2014/the-focal-international-awards-2014. AP is one of the sponsors of the Focal International Awards. An ambitious archive digitization project earned The Associated Press a 2014 Focal International Award. The winner of the 'Best Archive Restoration / Preservation' category, AP Archive, the film and video archive of AP, worked with Prime Focus Technologies on the project, which was entirely self-funded and involved the digitization of AP's vast film and videotape assets to the highest specifications. Prior to the project over 90 percent of the film was only available on film or videotape. Now AP Archive content is easily accessible via a new state-of-the-art web platform where footage can be downloaded in seconds. The collection documents the events and people that have shaped the modern era, and the project has ensured that some of the most significant moments of history are easily accessible for online viewing or download by customers. The project has also preserved this unique footage for the benefit of future generations. 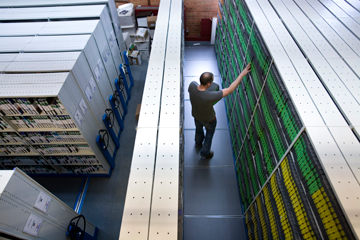 The digitization project took two years to complete and was steered from AP’s London office. A logistically complex process, Prime Focus Technologies created a sophisticated workflow involving teams in London and Bangalore, India, to deliver to AP a suite of different files for online viewing, offline editing and archiving. "Winning this award is testament to the work we have put in to our archive collection. We have been on the frontline of breaking news for over 160 years and, as a result, have a stunning collection which has to be preserved for future generations," said AP Director of International Archives, Alwyn Lindsey. "We have so much significant and unique footage that digitizing the archive had to be a top priority and we also wanted to ensure that we could make the content easily accessible to our customers, wherever in the world they may be. Now, they can view all our archive content online and easily download it via the website, which has been designed around their exact workflows." AP is among the sponsors of the Focal International Awards. 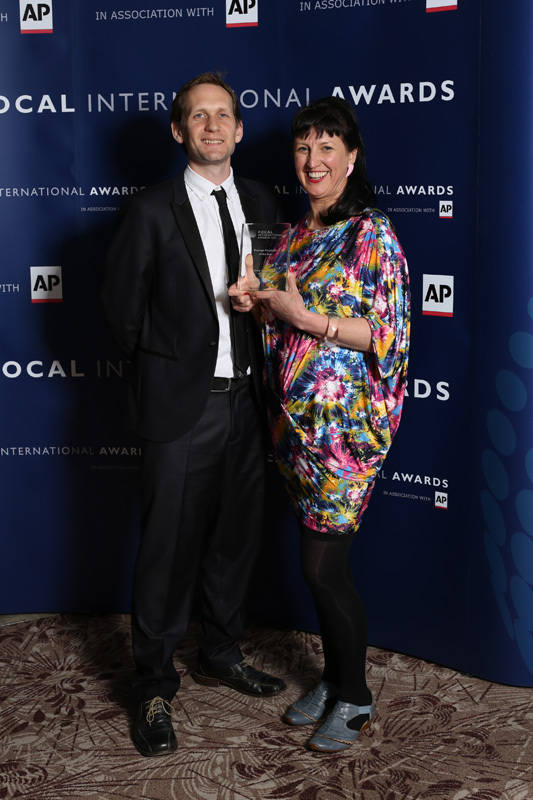 The Associated Press' Jenny Hammerton has been named 'footage employee of the year' at the 2014 Focal International Awards, the world's most prominent archive footage business Honors. The awards, which celebrate the best use of archive footage and recognize those that work within the archive industry, were announced last night at a gala dinner and ceremony, hosted by history presenter Dan Snow. Hammerton, who has been working for AP Archive, the film and video archive of AP, for over five years and who has worked in the industry for more than 15 years, was nominated by AP customers for her expertise, commitment and passion; both for the industry and the work that she undertakes. Described as having 'in-depth knowledge', 'acute research skills' and 'great instinct', she is part of the UK sales desk and handles key broadcast accounts. The AP Archive contains over 1.7 million global news and entertainment stories dating back to 1895. More stories are added every day and a recent Digitization project, which took two years to complete, has ensured the preservation of unique footage of some of the most important events in history for the benefit of future generations. "We have invested heavily in our archive business with fast digital access to all of our amazing footage being a priority," said AP’s Director of International Archives, Alwyn Lindsey. "However, we have never lost sight of the fact that it’s people who make a business successful and it’s wonderful that someone like Jenny is recognized by the industry in this way. She is extremely knowledgeable and dedicated, and feels passionately about our customers. This award is a fitting tribute to the contribution that she makes." SYDNEY, December 11, 2013— Absolutely Wild Visuals (AWV) Australia’s leading independent provider of stock footage along with Newsreel Archive, owner of the historic British Movietone Archive, have just announced an exclusive worldwide distribution deal to represent Nine Network Australia’s entire collection of news and current affairs archive footage. AWV will be the exclusive agent for the collection within Australia and New Zealand, while Newsreel Archive’s international partner, AP Archive will market the collection throughout Europe, Middle East and USA. Managing Director of AWV, Bettina Dalton said, “The addition of the Nine news archive enables AWV to provide a one stop shop for its clients. We are now able to provide content from 1896, the first ever footage of Queen Victoria, through to news-breaking 60 Minutes stories from just a week ago. This opens up endless possibilities for documentary and television commercial producers, as we prepare to dive into Nine’s collection and uncover the really great gems of the last 50 years. In addition to news and current affairs, Nine’s collection extends into the much-loved Sunday and 60 minutes series whose production values have always resulted in enduring high quality content. Martin Hersov, Director of Commercial Development at Nine Network Australia said, “For over 50 years, the NINE Network has been the leader in television news and current affairs in this country. We are excited at the opportunities AWV and Newsreel Archive offer the creative market to access Nine's wealth of high quality Australian and internationally relevant news and current affairs archive content. New York – Sept. 26, 2013 – Footage.net, the stock, archival and news footage search engine, announced today that preview clips from AP Archive are available for viewing through Footage.net's stock footage search and screening platform. AP Archive, the film and video archive of the Associated Press, is one of the most comprehensive collections in the world, containing more than 1.5 million stories dating back to 1895. AP Archive offers footage from the AP, as well as such other important television news agency collections as WTN and UPITN. "AP's goal is to make its vast collection of archival video easily accessible to production professionals around the world," said Ted Mendelsohn, AP vice president of digital and commercial business development. "We look at our relationship with Footage.net as a means to expand on our mission to distribute our archival content to creative professionals." AP Archive has invested significant resources in the buildout of its digital archive, making it available to a new audience across digital platforms. The archive dug deep into its back catalog to transfer miles of 16 mm news footage to HD digital files and is adding as many as 20,000 contemporary news stories to the system per year. "Between their current newsgathering efforts and their deep historical holdings, AP Archive is one of the world’s truly great news collections," said David Seevers, Footage.net CMO. "And they have worked very hard to make this collection accessible to the production community, both online and through their sales offices around the world. We're very excited about helping them further expose their world-class news and historical content to the global production community." LONDON, 27 February 2012 -- The Associated Press (AP) appoints Absolutely Wild Visuals as the exclusive distributor of its video archive in Australasia. Sydney-based Absolutely Wild Visuals will combine its natural history library, with the iconic British Movietone archive, together with AP's vast film and video archive creating an unrivaled offering of news, entertainment, sports and wildlife footage spanning the period 1895 to the present day. Absolutely Wild Visuals will market AP’s archive content in Australia, New Zealand, Singapore, Hong Kong, Thailand, Philippines, Vietnam, Indonesia, Brunei and Malaysia where it plans to secure business from the broadcast, online, educational and corporate markets. For AP the deal forms part of an overall expansion strategy under which it is fast becoming the world's prominent source for buyers of historic and news-related footage. AP Director of International Archives Alwyn Lindsey said: "The Australasian market is a natural one for AP’s archive content, but to fast-track our business there it makes sense to work with a leading player that already has a strong foothold in that market and one with a reputation for great customer service. Absolutely Wild Visuals ticks all the boxes for us and we're delighted that they'll be marketing our footage in the region." Matthew Miranda, newly appointed CEO of Absolutely Wild Visuals, added: "AP has arguably the world's finest film and video news archive and we feel that it has huge potential in the Australasian market, especially when combined with the British Movietone and Absolutely Wild Visuals Library. Putting these three incredible collections together completely changes the dynamic of the Australasian news and historic footage market." LONDON, 22 February 2012 -- The Associated Press is working with Prime Focus Technologies (PFT) to digitize its unique video archive, making it available to a whole new audience across digital platforms. AP’s film and tape archive contains around 70,000 hours’ worth of footage, including more than 1.3 million global news and entertainment stories, in 16mm film and videotape, dating back to the beginning of the 20th Century. The project is part of AP’s multimillion-dollar upgrade to its video business which will see AP switch its entire newsgathering, production and distribution systems to HD to continue to meet the technical, editorial and business needs of its customers in the digital age. AP Director of International Archives Alwyn Lindsey said: “A legacy of being on the frontline of breaking news for more than 160 years is a fantastic archive. Ours is one of the finest visual documents of the events and people that have shaped the modern era. Today’s market is driven by giving customers breadth of content, ease of access, and value for money. While we have already digitized around 10% of our archive, it has been a top priority to get all of our most saleable archive footage online and make it available to our customers, wherever in the world they may be. To make this happen, we needed a partner who could handle our global business needs and a project of this scale, and for that reason, we chose Prime Focus Technologies”. PFT will use the unique skillsets of its global organization to digitize AP’s film and tape archive, then catalogue, manage, transcode and deliver AP’s content to a multi-media audience. PFT has decades of experience in digitizing archive content, partnering with organisations such as the British Movietone Library, British Film Institute, Imperial War Museum, IMG, Board of Control for Cricket in India (BCCI) and Eros International. The project will be driven by CLEAR™, PFT’s award-winning content operations platform and supporting services. PFT has a large team of developers writing bespoke scripts to support the innovative workflows required by this project, and utilizes its own cloud technology for supporting services. Newly digitized content will appear every day on AP Archive’s website, thanks to dedicated connectivity between PFT and AP. LONDON, 9 November 2011 -- The Associated Press has today been appointed to market the iconic British Movietone News archive in Europe, North America and the Middle East. This signature deal with Newsreel Archive Pty Ltd brings to AP a vast quantity of British and international news stories covering the period 1895 to 1986 and elevates AP Archive to being the definitive source of news and historical archive footage. Bettina Dalton, MD of Newsreel Archive and Absolutely Wild Visuals, said, “British Movietone is arguably the world’s finest newsreel collection, and certainly the best British newsreel archive. Partnering with AP’s more contemporary footage makes for a truly comprehensive news and historical resource”. British Movietone has been in the same private ownership since 1929 but the collection was recently purchased by Newsreel Archive PTY to be managed by Absolutely Wild Visuals, Australia. The British Movietone Newsreel archive presents some of the most memorable images of the 20th Century in a fully digitized library of more than 2,000 hours and 48,000 remarkable international newsreel clips from 1895 – 1986 categorized and fully searchable in the genres of significant historical events, war, political figures, royalty, celebrities, sport, transport, places, culture and lifestyle. From the Hindenburg disaster to the attack on Pearl Harbour, footage of both World Wars, Nazi Germany, the Great Depression, the Korean and Vietnam wars, the Suez Crisis and the Cold War. The events, the people and the politics. Vast and valuable celebrity coverage includes iconic figures from Elvis Presley and Marilyn Monroe to the Beatles and the Rolling Stones. The British Royal Family is an obvious strength of the collection with incredible footage appropriate for the upcoming Diamond Jubilee, including four coronations, with Queen Elizabeth’s having been shot on 35mm colour film, making it ideal for high definition use. A prominent collection of sports from a British and international perspective – cricket, football, soccer and boxing -- British Movietone is perhaps best known for its colour footage of the 1966 World Cup Soccer Final and the Donald Bradman collection. Social history is another prevalent theme with the archive documenting the socio-economic changes and trends that have shaped the modern era. AP is also proud to offer access to the huge vault of British Movietone outtakes and unissued stories which have lain dormant in deep storage for decades, with most being unseen since the day they were created. which swells the collection to more than 6,000 hours, making it the UK’s largest single newsreel collection. The collection originates on 35mm film and AP will be offering customers full HD transfers. AP plans to add the digital archive to its own website in due course and will offer British Movietone footage alongside its own and that of its other 19 content partners, which include ABC News VideoSource, Press Association, KRT (North Korea), RTR (Russia), and CCTV (China). The British Movietone archive is available from AP Archive from today.